We’re about 30 days out from one of the summer’s most competitive shows, so it’s time to start getting prepared and thinking about what you can do to maximize the potential of your project before World Pork Expo. Ring Prep: It probably goes without saying, but one of the most important factors in succeeding is having your hogs driving and performing close to perfection. If not already, you should very soon have them driving 15-20 minutes every day. Some pigs will drive longer, and some less. However, the most important part of having them out and driving is always maintaining control. I always tell our kids that a pig should never leave their pen without knowing that their showman in the boss. Whether that be driving, or going to the scale or washrack, always drive them like they’re showing in the grand drive at a major. Show Prep: The best thing to think about right now is about the potential your project has. From this time forward, the harder you work, the better your chance to succeed. Washing, walking, and cleaning daily, at this point should go without saying. Climate Changes: We’ve experienced a tough winter (especially you guys up North). With that being said, it is now heating up and as we all know, hogs respond differently once the temperature rises. Make sure your pigs always have clean and cool water. They need to be bedded where they are comfortable. If hogs overheat at point, they are burning their energy and melting, while trying to keep cool. In other words, all of the nutrition that you have pushed their way to make them look their best is going away while they overheat. 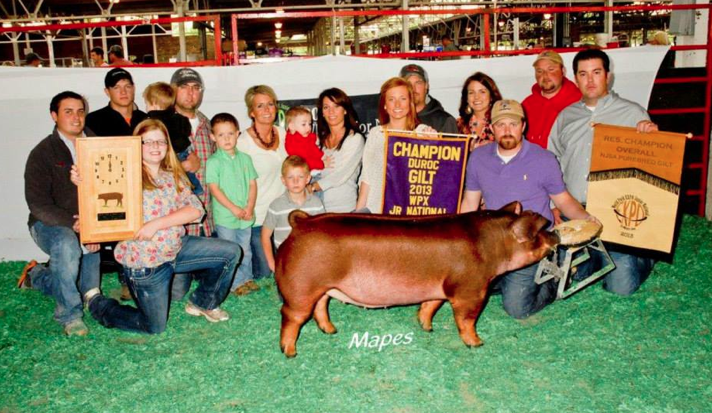 The Caldwell Family had great success using Sure Champ and Vita Charge at the World Pork Expo. 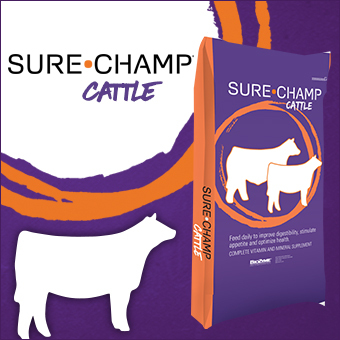 Remember, Sure Champ and Vita Charge are great tools to help keep livestock on feed. Amaferm, found in all of our products, shines during the most stressful times in an animal’s life. 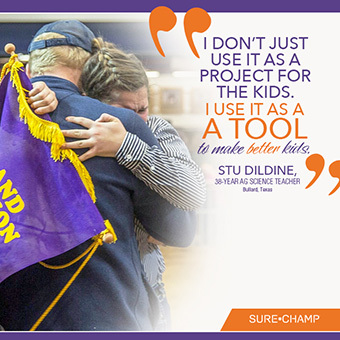 By using Sure Champ and Vita Charge we can keep our livestock healthy, fresh and on feed while hauling and this summer. For more information about preparing your pigs for the showring and adding Sure Champ and Vita Charge to their diets contact your Area Sales Manager or email champ@biozymeinc.com. You can find your nearest dealer by clicking here.